Flavor: straightforward Darjeeling flavor: almost sweet flavors with a long, smooth and full-bodied, fresh, clean finish. Just a hint of muscatel. 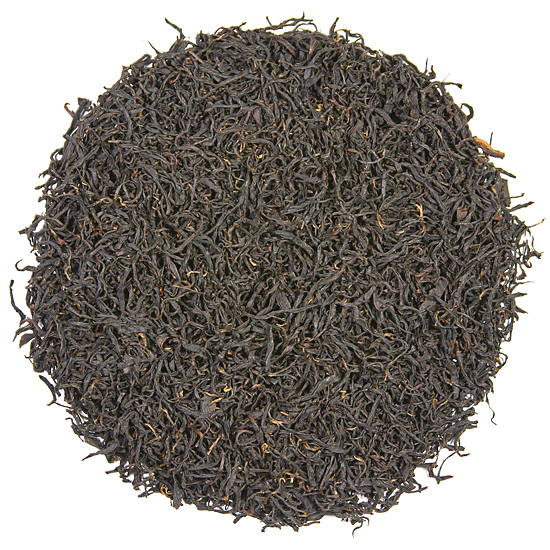 The flavor of this delicious Darjeeling is quite simply exquisite. It has a smooth rich, full flavor. We rarely taste a Darjeeling tea these days that has body as full as this and is without any astringency or assertiveness. 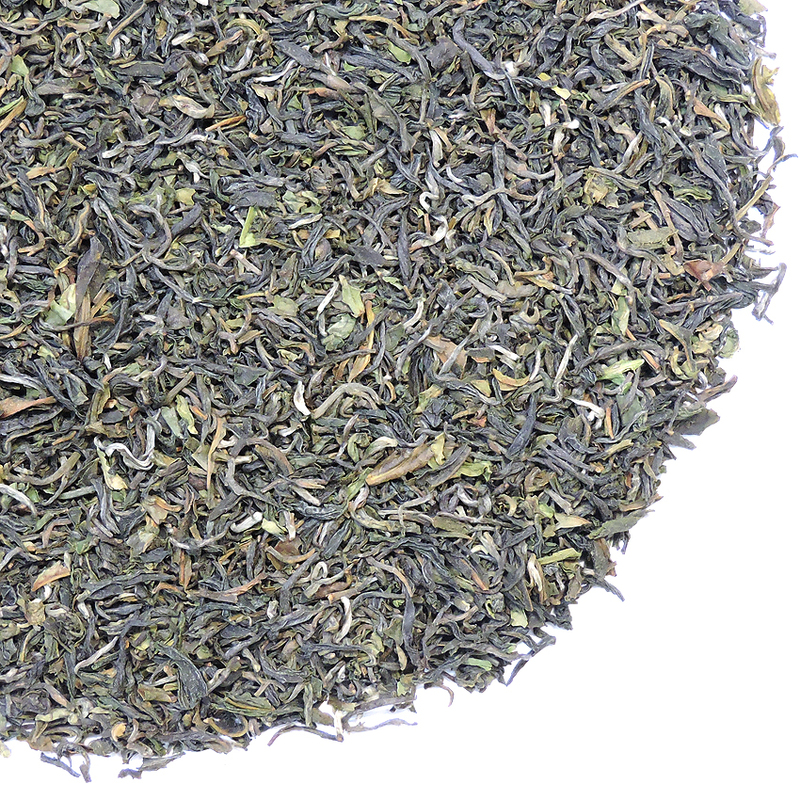 If you are a fan of 2nd Flush Darjeeling teas that melt in the mouth and offer elegant flavor with just the correct amount of China bush brightness, this is your Darjeeling – in spite of the fact that this is a 1st Flush tea! You will notice right away that the dry leaf has a very pungent aroma, and that this aroma lingers while the tea steeps . The leaf is darker than most 1st Flush Darjeeling teas, and is a smaller cut – more similar to tea from 35-40 years ago in style. There is little of the ‘German green’ in the leaf, and the slender leaf has a well-formed, slight twist to it. This garden uses principally China bush plantings for the leaf for this tea. 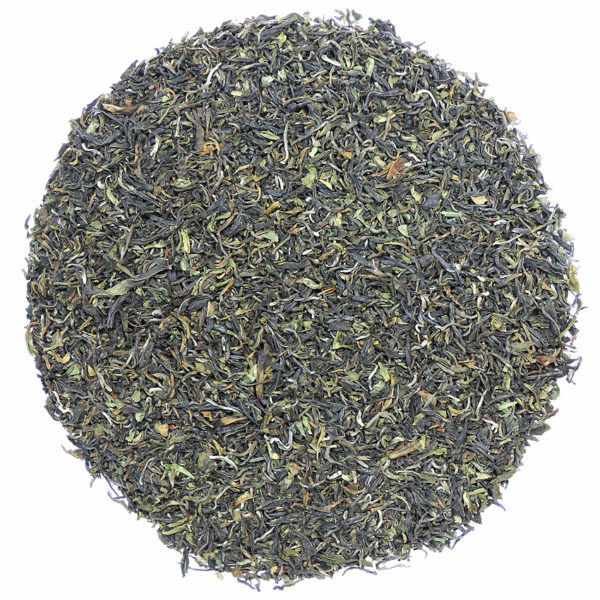 Tea Trekker’s initial selection of a 2018 Poobong Tea Estate 1st Flush Darjeeling tea has a flavor that is pure and focused, quite superior and very accessible. There are mostly notes of fresh and dried stone fruit, with a positive addition of the classic flavor components of ‘biscuit‘ or ‘toast‘ – simply delicious! Poobong Tea Estate 2018 1st Flush tea (Lot #1) is not finicky – we have steeped it for varying amounts of time with no unpleasant ‘bolting’ or off taste. While we tend to steep our Darjeelings for about three minutes, this 2nd Flush will show well, we think, when steeped ‘Chinese-style’ for 2 mins or less, or if you steep it longer, even 4 to 41/2 minutes. Because it is 100% China bush leaf, we like to use water that is just slightly cooler than the normal temperature used for steeping black tea. And be sure to try a second steeping – but only if you steep it short the first time. Try using half the water of the initial steeping and you will enjoy a bit more liquid tea from the leaf (possibly the perfect thirst-quenching amount). Be sure to notice the two Poobong Tea Estate 1st Flush teas that I could not resist and that I sourced, tasted, and purchased after this one (so that we have on offer three (3) different lots of 2018 1st Flush teas from these spectacular tea gardens. What a great vertical tea tasting!